If you feel like going high-end this year ere' a link to make your very own Gold Easter Eggs. For all the math Geeks out there Cory Doctorow posted some links on Boing Boing on how to use math to decorate your symbols of rebirth this year. 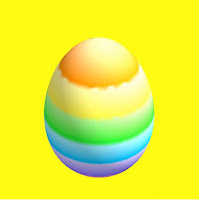 Go to this link on Craftzine.com to watch a video on how to dye your eggs naturally without any toxic chemicals or dyes. Or maybe you want to knit up a few Easter Eggs to keep for years to come. 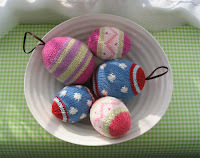 Check out the blog Little Cotton Rabbits for a great free knit easter egg pattern.